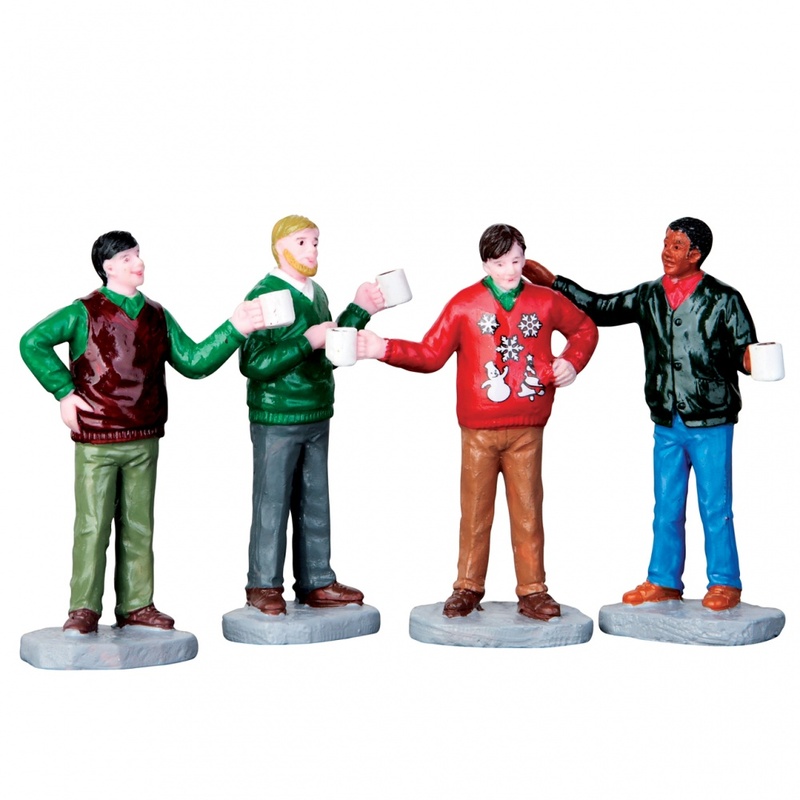 Lemax Ugly Christmas Sweater Figurines Set of 4 depicts a group of young men sharing a festive drink and making festive fun of a friend who decided to wear his bright Christmas Jumper! A relative newcomer to the Lemax Village themed figurine set which joined the Lemax collection in 2016. 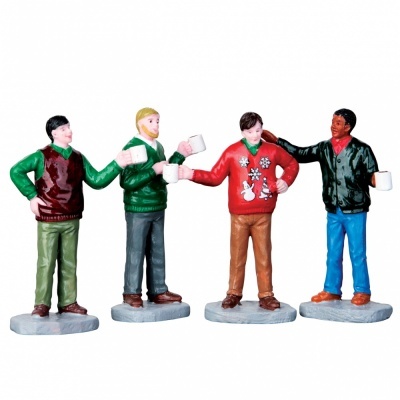 Comprises four individual hand painted polyresin figures on four individual street bases to compliment your seasonal Lemax Village Christmas display.